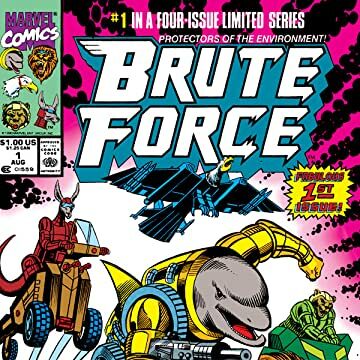 Collects Brute Force #1-4 and Power Pachyderms #1. Includes fun-packed wildlife fact sheets created by Disney's Animals, Science and Environment! Wreckless the bear! Soar the eagle! 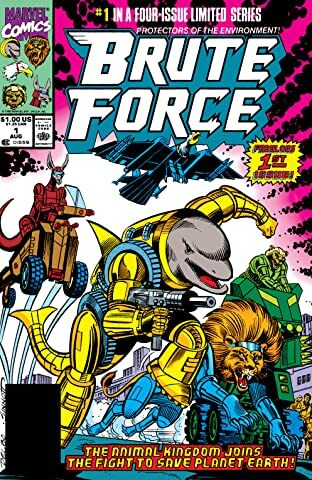 Surfstreak the dolphin! Hip Hop the kangaroo! And Lionheart the — you guessed it — lion! 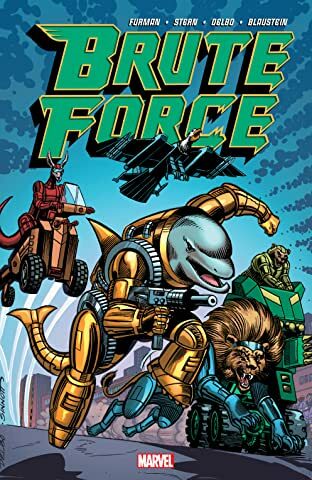 They're the cybernetically enhanced protectors of the environment, Brute Force! 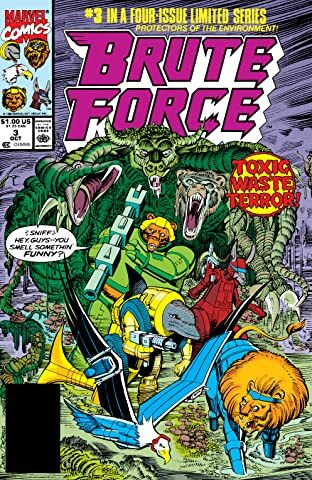 And they're fighting to save the Earth, whether you asked them to or not! 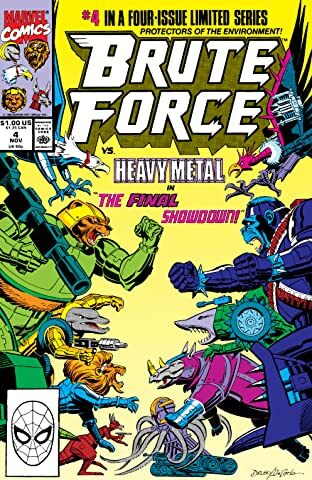 But to claw their way to victory, Brute Force will have to battle their beastly rivals, Heavy Metal — a cyborg shark, rhino, gorilla, octopus and vulture! The anthropomorphic adventurers' escapades are collected alongside fun-packed wildlife fact sheets created by Disney's Animals, Science and Environment! 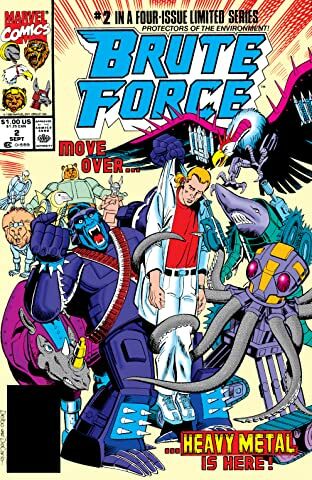 Plus: If Brute Force isn't wild enough for you, check out more offbeat antics from Marvel's vaults: the crimefighting elephants known as the Power Pachyderms!